I had 4 eggs that has been sitting in my fridge for a little way too long and so I decided to fry them all for breakfast before they all go bad. When I cracked the first egg, there were 2 yolks. 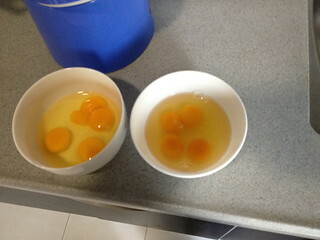 Over here in Taobao Land, double yolk eggs is not uncommon. Then I cracked the second egg. Again! Double yolk! I went on to crack the rest and whoa!! 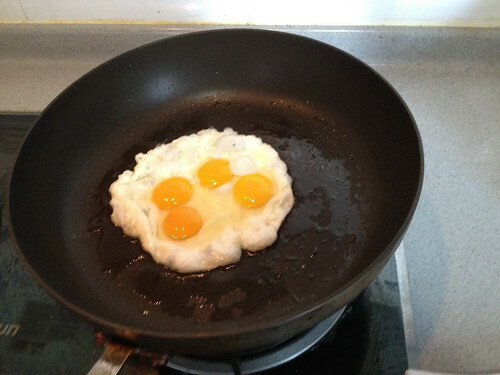 ALL DOUBLE YOLKS!! Starmist: My last bloodwork came back, everything is normal. Arrenn: 4 eggs in a row lor. What are the chances?? And no. No chicken special powers.